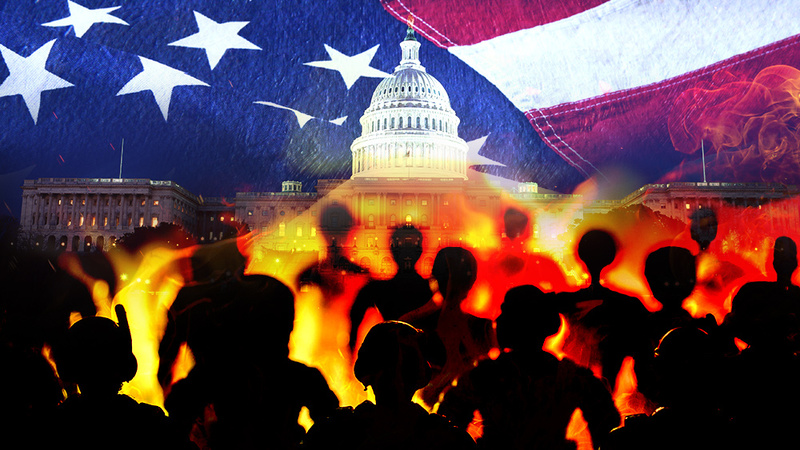 Alert to all Americans: Prepare for emergency action in the 3D world… the orchestrated assault on your mind, your country and your president is approaching its final chapter ~ Mike Adams. Prepare for emergency action in the 3D world… the orchestrated assault on your mind, your country and your president is approaching its final chapter. 7 Hidden Causes of Fear That Could Explain Why You Avoid Some Things in Life ~ Sherrie. 7 Hidden Causes of Fear That Could Explain Why You Avoid Some Things in Life. We, as humans, are afraid of many things, sometimes developing severe phobias. So, what are the hidden causes of fear? What are the reasons for these reactions? When I was a little girl, I was afraid of the forest surrounding my house, but only at night. During the day, I ran through the woods without a care in the world. What made the difference between my time in the forest during the day, and my fear of what lurked there in the darkness. It’s strange if you think about it. What are these causes of fear? Upon analyzing my fears, I come to a conclusion. I am afraid of the unknown. Since it was dark in the forest when I was afraid, this meant I could not see what dwelled there. It’s safe to say that the darkness covers the unknown and these unknown things cause feelings of fear. As an adult, I still suffer from the fear of the unknown, and many of us do. Children being afraid of the dark is just something that most people understand, without fully understanding. Much like many other situations, we don’t really question the causes of fear. But there are other kinds of fears, less tangible but just as important, and these other fears are the ones that can keep us from reaching our full potential. Now’s the time to analyze the causes of fear and understand a bit more about ourselves. Let’s take a look at a few reasons why we’re frightened. One of the most common causes of fear is failure. So many of us refuse to leave our comfort zones because we are afraid of doing something wrong, something that could damage our lives forever. The fear of failure can be seen in those who procrastinate in taking steps toward things like new careers, education, or starting a relationship. The fear of failure is often hidden behind the reasoning of why you shouldn’t take that step forward. It’s also camouflaged as self-sacrifice as well. Sometimes, instead of doing something to better yourself, you may choose to focus all your energies on others. Doing for others is good, but not when you forget about your own goals and potential. Learn to recognize the signs of fear of failure in its early stages so you can improve your life accordingly. Yes, decidophobia is a real thing. It’s basically the fear of making decisions. Personally, I think my second child has this problem. Everything he does has to be thought over carefully, even the simplest of tasks. I believe that inside he is wrestling with the fear of making the wrong decision, and so he takes extreme measures of time to make the decision in the first place. So, in my son’s case, his strategy is that if he takes long enough, the decision will become clear. In my experience, this is not true. It seems that if I take too long making a decision, it actually becomes much harder. The fear of decision making can be crippling, stealing so much time from the rest of your life. So, why not practice forcing yourself to make quicker decisions and walk away. It will be painful, but it will help you see the fallacy in your logic. One of the causes of fear revolves around the stories you play in your head. For instance, when you cannot reach a friend by phone, you may start to worry. When this happens, your mind starts to compensate for the absence of explanation. In other words, if you don’t know where someone is or if they are okay, then your brain fills in the gap. Many times, these fabrications are negative. While not everyone ruminates like this, many do. Building negative scenarios in your mind feeds your fear. If you start believing that your absent friend has been in an accident, then you start to fear those things. You actually fear far-fetched ideas. If you allow yourself to think positive things instead, then you decrease your fears and breed peace. So many of us have trust issues of some kind or other. That’s why we often have fears that something bad will happen. I remember telling friends about the walls around me. I built all these walls because of the hurtful things that happened in the past. Unfortunately, these walls kept the good things out as well. I have trust issues, let’s just put that out there to help you understand. I am in constant fear of being betrayed by one person or the other. It affects most aspects of my life and I hate it. I try to relinquish these fears, but something happens that, again, fortifies that untrusting mindset. All I can say is, we just have to try harder to break down the wall and let people love us. After all, it’s possible that they actually have good intentions. This cause of fear is similar to trust issues, but not exactly the same. While insecurities can cause trust issues which in turn, can cause fears, insecurities alone can cause different sorts of fears. Let’s say you are insecure about your weight and so you are afraid to wear certain things to the beach. You fear ridicule and you fear rejection. Insecurities have the power to destroy your self-image and that’s why it’s so important to practice self-love and realization in your life. I often suffer from insecurities, but I stop myself and think about what I’m worth. My worth as a human being does not change according to things people say about me or how they treat me. I want you to remember this as well. One of the causes of fear that can really limit your life is perfectionism. If you think it’s important to be perfect, then any failure would be devastating. So, if you sense an event would cause you to make mistakes, then you will not go to that event. You might not even date certain people in fear that they would see your imperfections. It can be quite crippling actually. Since you have a fear of imperfection, you will often do nothing. This is the severe form of perfectionism. You may feel that if you partake in social activities or anything at all, you won’t be able to feel the same about yourself if not seen as perfect. You may have friends, but honestly, they will be few. I think one of the most common causes of fear would be past trauma. Since I am in the sharing mood, I will share even more. I was abused, and I believe I have shared this many times. Because of my past trauma, I fear many things, especially people in general. Yes, I guess you can say I have a case of anthropophobia (fear of people). Past traumas cause PTSD, anxiety and also physical health problems. Unfortunately, we don’t often address the common fears they produce. Past traumas can affect our social life, spiritual life, family life and more. Because of what happened to us, we will often avoid relationships or career changes. Do an inventory of your life and see if anything from your past connects with your present fears. It could be interesting. Despite how prevalent your fears are in your life, there’s always hope for change. The causes of fears may be many and complex, but with understanding, you can find the key to unlock these fears. I hope this has helped you learn a bit more about yourself, and I wish you well. Let Your Heart… ~ The Creator, Jennifer Farley. Now, more than ever, listening to your heart and intuition is going to be very important! Yes, logic serves a purpose and keeps you grounded in your now. However, relying on logic alone may put you in a place where it is challenging to see the options available to you. Things may appear to be rough and rocky, full of detours and set-backs but, your heart will always guide you in the right direction. This article may be republished as is, with no changes made and with all links active. Quase não há quem esteja livre do vício da inveja. A inveja pode surgir até de assuntos triviais, e da inveja emerge o ódio. Para se livrar do ódio, uma pessoa deve praticar o amor constantemente. Onde há amor, não haverá espaço para inveja e ódio. Onde não houver inveja e ódio, haverá Ananda (felicidade real). Essa felicidade se revela em beleza. Você conquistará a felicidade, se vir beleza em tudo. Mas, o que é essa beleza? Os materiais e objetos são bonitos? Mas, todos eles são temporários e, portanto, a beleza proveniente deles também só pode ser temporária. Somente Deus é permanente, então só Deus pode ser considerado belo. O principal dever do devoto é buscar o néctar da felicidade, que deve ser obtido pela contemplação da beleza de Deus. Os meios de experimentar tal felicidade são o cultivo de boas qualidade e se livrar de características negativas.